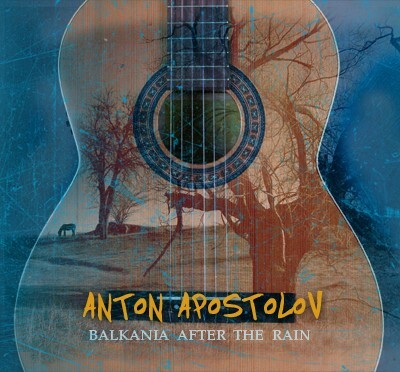 “The music in Balkania After the Rain reflects my classical guitar background, my Bulgarian heritage, and my orientations as a performer and composer towards jazz and flamenco as well. In this album the listener will find a unique body of work that brings together classical, jazz and folk traditions. By doing this, I can contribute in a new way to the array of cross-cultural musical collaborations and exciting creative work that is occurring in Canada and the world today. Valeri Dimchev, Ganesh Vishwanath Tanwade, Vihren Paunov, Ivo Paunov, Hasheel Lodhia, Ahmet Ilci, Alberto Suarez, Irene Markoff, Dimitre Atanasov, Tzvetelina Bratanova, Rosi Atanasova, Bashkim Jaupi. Nedyalko Nedyalkov, Stoyan Yankulov, Spass Rizov, Colin Maier, Ivan Tsonkov ,Luchezar Stamatov, Ivailo Romanov (Peleto), Darek Kobylarz, Mia Cioffi, Ekaterina Popova. This recording was made possible through the assistance of the Canada Music Fund and the Music Section of the Canada Council for the Arts. webdesign InvisionPro. Make Your Business Visible!